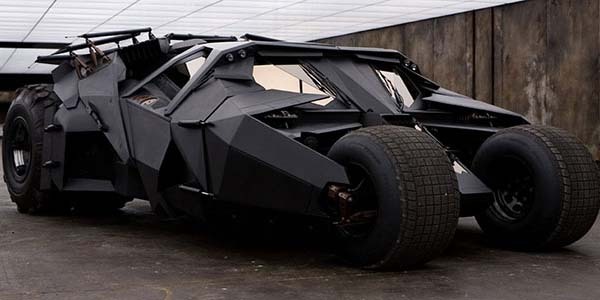 This tank-like beast, dubbed the Tumbler, is known to us all as the Caped Crusader’s ride in Christopher Nolan’s trilogy, starting with 2005’s Batman Begins. Not a lot about the design says “bat”, but it still looks badass in a rough-and-tough way and useful in real-life combat. The concealed motorcycle attachment must have 007 pretty jealous.